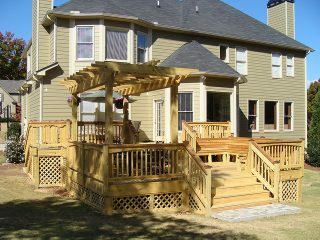 Have you been looking for a deck builder in Louisville to help create the outdoor seating area of your dreams? Do you need a space to relax, work, or just get away for a bit? Or do you imagine enjoying nice meals on cool mornings and nights in the outdoor breeze? 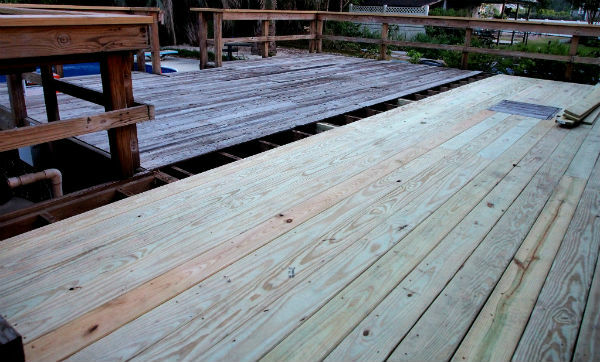 Do you have a deck in dire need of repairs? Between heavy use and the outdoor elements, it’s natural for the wood or other material used for your outdoor seating area to sustain some wear and tear throughout the years. Whether you need a restoration, swimming pool repair, or foundation reinforcing, our deck contractors would be more than happy to help you with any repair concerns you may have. 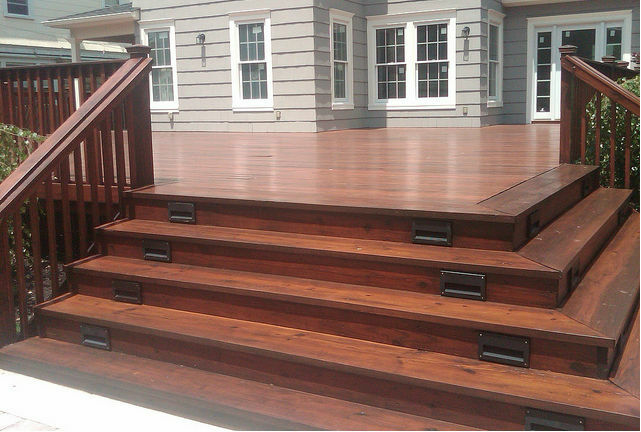 We’re here to help build your dream deck, taking the utmost care when it comes to its installation. Outdoor flooring is subject to rain, snow, wind and heat. If you are worried that your outdoor area has started to show signs of damage or is losing its luster, we are able to help restore it to its former glory by refinishing its appearance. We work to ensure that every need is met when installing new railings for your outdoor space. We can also rebuild old railings that are falling apart. With so many different looks to choose from, we offer a wide variety of options such as woods and a range of synthetic materials. Choosing between the materials can be a big decision, with several different factors to look into. Here are some pros and cons to consider. Hardwood options are sought after due to their durability and beautiful appearance. They offer a luxurious look with a bright and clean finish. In addition to this, Hardwood is incredibly tough and can withstand markings like animal claws, heels from shoes, and debris like hail. The stability of hardwood is near unbeatable, as it is also immune to insects and rot. It does not contract or morph due to temperature fluctuations like some plastics might. Unlike other types of wood, hardwood is fire resistant and in the unlikely event it ever does catch fire, will not billow toxic smoke. However, hardwood can be somewhat pricey and at times the material itself is stubborn to work with when it comes to installation. In addition, the denser and darker your hardwood is the more heat it can absorb. Something to consider when it comes to bare feet! 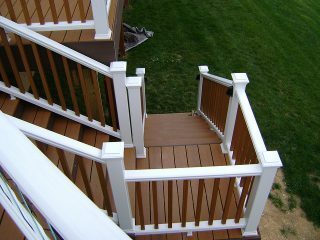 Composite decks are also available. This option is attractive for its reduced need for maintenance, and because composite material does not require bleaching or staining every other year. This therefore saves time and money compared to other materials. The boards sustain minimal fading from the sun, and are most often made from recycled materials. Composites have a long lifespan and don’t rot or attract termites. They don’t warp or expand and those who have them can enjoy their yards without worrying about splinters in their feet. Composites do come with a higher initial cost and can be easily scuffed by moving furniture and overexcited animals. Also, composite decking can be more prone to staining from things such as food and grease, so if you’re playing on hosting a lot of barbeques, composite material may not be the choice for you. We pride ourselves on being able to tackle even the toughest of jobs when it comes to outdoor areas. We strive to provide our clients with a beautiful and safe design that they can enjoy with their family and guests for years to come. A home deck is a great idea if you’re planning on hosting any number of gatherings such as holiday parties, family reunions, grilling out, or if you just like to take advantage of the outdoors. Whether you’re a new homeowner or have lived at your residence for years, we will help to design a yard you can be proud of. 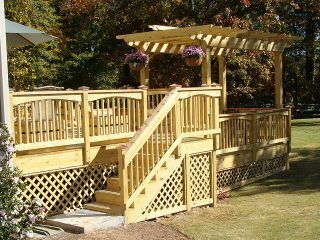 With our strong attention to detail and a large selection of design options for you to choose from, you can rest assured that your deck will be personalized to your specifications and uniquely you. 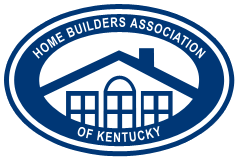 So, if you live in Louisville and are in need of a contractor to install, repair, or simply spruce up your existing outdoor seating area, contact us today for assistance! 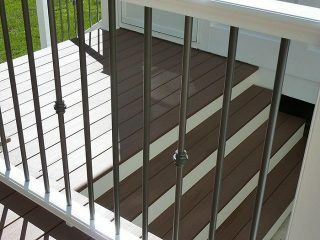 We are excited to supply residents in the Louisville area with all of their home decking needs. 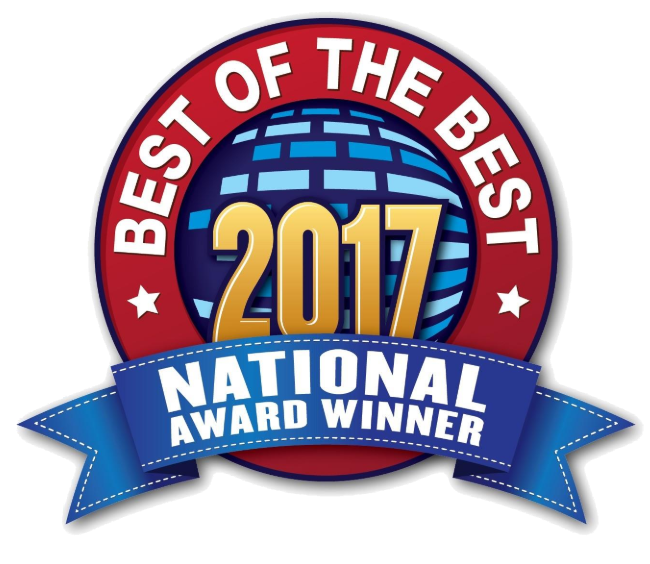 We are ready to provide the best in products, design, and customer service when it comes to making your front or back yard the best it can be. 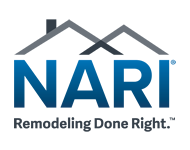 If you have more questions concerning repairs, materials, installation, or the overall process, call us today for your free estimate at ​ We look forward to hearing from you and can’t wait to begin creating the deck of your dreams!